What really endures in your mission? Recently at a church leadership team meeting an elder remarked, “We do get some new people, but unfortunately we need ten new people to make up for one old-timer moving away, retiring, or dying.” Another agreed, "The building is consuming 90% of our offerings, but these young people today don't give like we do. Can't get them to volunteer, either." These dear leaders were struggling with making sense of their church experience, a model for doing ministry that had served them well for hundreds of years. They were expressing their lack of ministry satisfaction and essentially admitted they could not afford to grow. They were stuck in their building, out of reach of new and especially, younger, people. Mission endurance is not the same thing as mission longevity. Neither should it be confused with the persistence of our buildings and programs. Building a durable mission is not the same things as a durable building. King Herod was a builder. He invested forty-six years aligning priorities, processes, and resources to build something that endured. 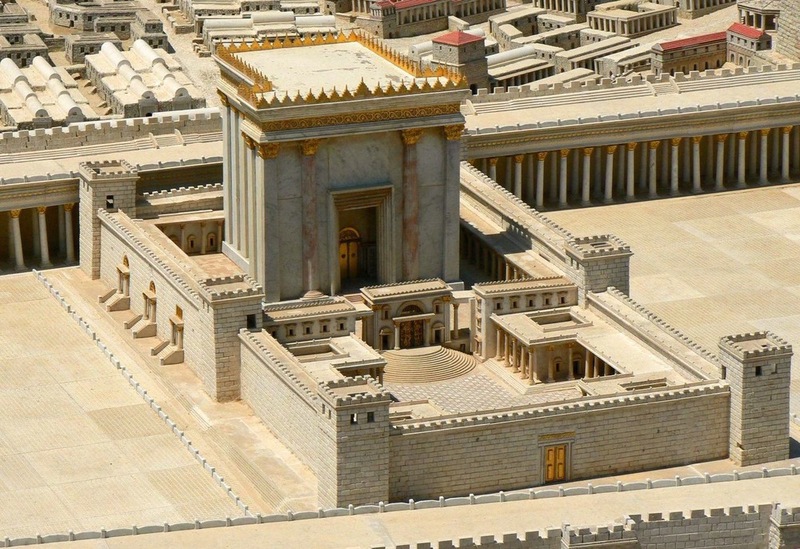 King Herod started his Jerusalem temple project twenty years before the King of King's birth. Still under construction, the enormous project remained unfinished when a then twelve-year-old Jesus was discovered there teaching the elders. "One day people were standing around talking about the Temple, remarking how beautiful it was, the splendor of its stonework and memorial gifts. Jesus said, 'All this you’re admiring so much—the time is coming when every stone in that building will end up in a heap of rubble'" (Lk. 21:5-6).The alarmed listeners could hardly imagine a distant calamity even occurring. How could such an imposing and durable structure be a pile of rubble? They asked him, "Teacher, when is this going to happen? What clue will we get that it’s about to take place?" (Lk. 21:7). After a lengthy discourse about paying attention to their world around them, Jesus assured his listeners, "Heaven and earth will pass away, but my words will never pass away" (Mt. 24:35). Jesus' mission and message was far more durable than a temple. What is durable in your mission and ministry? As a pastor, you are the endurance leader in your congregation. Where do you invest your priorities, processes, and resources? What constitutes a durable mission? "One day Peter and John were going up to the temple at the time of prayer" (Acts 3:1). It was the same "brick and mortar" temple in which Jesus earlier turned over the tables of the money-changers (Mk. 11:15), and where Judas was paid thirty pieces of silver to turn Jesus over to the authorities (Mt. 26:14-16). The temple's durable edifice looked unchanged on the outside. But just a few months earlier Jesus "endured the cross and despised its shame" (Heb. 12:2), and at the very time of his death, the enormous curtain inside the temple was torn in two from top to bottom, as the earth shook and stones split (Mt. 27:51). What appeared to be durable was, in fact, fragile. The work of Jesus on the cross, durable. So it was that about three in the afternoon, Peter and John noticed a man being carried to the temple's Beautiful Gate. That's as far as he could go since his physical impairment made him unwelcome inside the temple. He was also unable to earn income unless, "he was put every day to beg from those going into the temple courts" (Acts 3:2). He asked Peter and John for resources. "Then Peter said, 'Silver or gold I do not have, but what I have I give you. In the name of Jesus Christ of Nazareth, walk.' Taking him by the right hand, he helped him up, and instantly the man’s feet and ankles became strong. He jumped to his feet and began to walk. Then he went with them into the temple courts, walking and jumping, and praising God (Acts 3:6-9, NIV). Silver and gold are not durable goods. But the words of Jesus are. Peter and John knew the difference. They knew to focus on what lasts: connecting of the power of God with the community God loves. It was mission critical to focus on the durable; to deliver what endured; namely spiritual connections and a relationship with God through Jesus Christ. Jesus' words cannot be consumed to exhaustion; his enduring work on the cross cannot wear out. Maybe your worship, witness, and work results in cascading blessings that flow outside the walls of your church. Thank you! But for thousands of congregations over the years, the decades of time have revealed cracks in our "brick and mortar" models. We keep trying to fix what is crumbling. But it may be more than crumbling bricks that need our attention. Perhaps we need to look again at our mission endurance. It is not the buildings that endure, no matter how majestic, or how simple. The buildings we gather in, the buildings that provide a place for sanctuary and formation, even offer an emotional connection, while good, are not the mission of the church. The mission of the church is less aligned with its buildings than in transforming lives, congregations, communities and the world in the name of Jesus Christ. We have invested resources to maintain our buildings, which may be good, but at times this focus comes at great price, even the marginalizing of our true ministries, which is not good. The temple is worth maintaining, but not at the expense of the mission. Temples do not last, but the unique call of God on your congregation as it is Spirit-deployed into the world as ambassadors of Jesus Christ, that really matters, and that impact will endure. Bricks and mortar I do not have; but what I have I give you. In the name of Jesus Christ of Nazareth, walk. Bricks and mortar, our beautiful and historical buildings of every size, last a long time, but they are not durable goods. Our mission is to invite people to walk in relationship with Jesus Christ. Mission endurance is not the same as building endurance. Neither is mission endurance to be confused with structures and methods and programs that seem to persist well past their expiration dates. If the church offers little more than ministries locked inside bricks and mortar, how will our community be blessed? We have gifts to be released; blessings of God to convey, that will empower people and communities to rise up and walk! If we continue to clutch and cling to existing methods as our income diminishes, our ministry will unintentionally objectify existing members as an income stream. Similarly, a crumbling ministry setting will objectify potentially new attendees as income sources. As another elder said referring to new people, “They just don’t give as much as we need.” We can do better. Bricks and mortar churches can begin to address their already stressed and crumbling economic models. The pastor as the endurance leader will invite the congregation to re-align priorities, processes, and resources. Churches of every size can experience congregation and community impact when the worshipping, witnessing, and working community of faith is deeply connected to the community at large. Our world-changing connection is with Jesus Christ, the builder of things that last. "This is the rock on which I will put together my church, a church so expansive with energy that not even the gates of hell will be able to keep it out (Matt. 16:18). With Peter let's affirm: bricks and mortar we do not have, but what we have, we give as we build a durable mission to the glory of God.